Kapil Nanda, president and CEO of Infogain, a Silicon Valley high-tech company, called on Bertie and Victoria Dyer at India Beat to coordinate his epic homecoming to India. “I’m from Delhi, and over the years a group of my friends had expressed an interest in going to India. In all, there were 32 of us—and there was no way I was going to organize that myself. Instead, I turned the planning of a two-week, six-city itinerary over to Bertie and Victoria Dyer. They helped us charter planes from Delhi to Jaisalmer to Udaipur to Delhi— we went to a lot of places that many people can’t get to because the logistics are so tricky. Jaisalmer, for example, is a town in the high desert near the Pakistan border. THE FIXERS: Bertie and Victoria Dyer of India Beat specialize in high-end travel throughout India. From their home office in Jaipur, they’ll make sure you get off the tourist track—but always end the day at a hotel you’ll soon be bragging about to friends (indiabeat.co.uk). 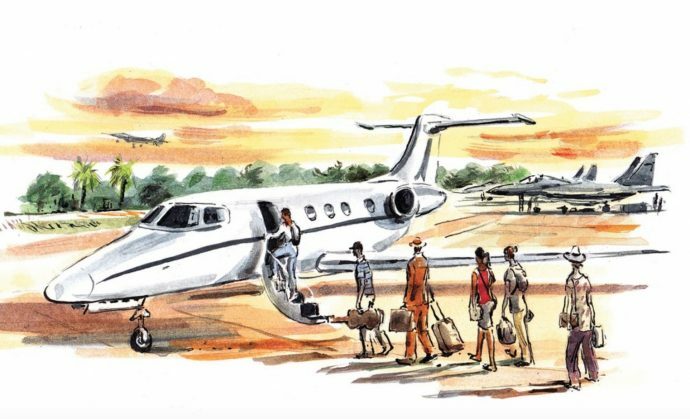 Words by Maxwell Williams, for Conde Nast Traveler Magazine: Why a new Generation of Travel Agents matters more than ever. Illustration by Dan Williams.